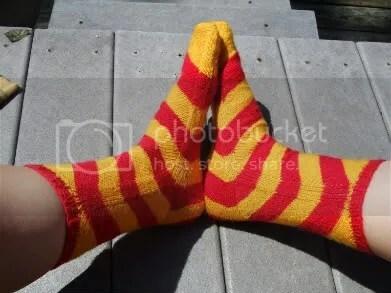 FO: Gryffindor Socks | Stitch, Brinn, Stitch! Yay, I finished my first socks for my outstanding sock trades! So… I am disappointed these socks are not for me. Because I love them. And the recipient even has my same shoe size. So I’m totally jealous. 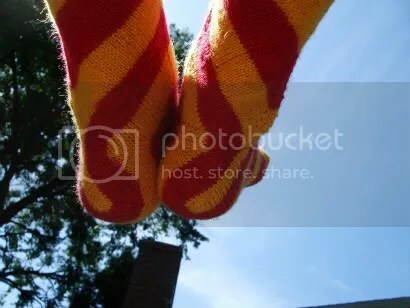 They’re totally great socks. And the pattern is wonderful and fascinating. 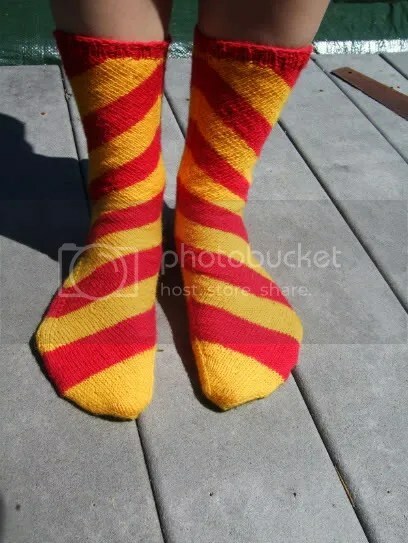 They knit up pretty quickly, and even though they’re stockinette socks, the increases and decreases keep you interested. Fun and wonderful for self-striping yarns. I’m totally going to make another pair from this pattern for me at some point.